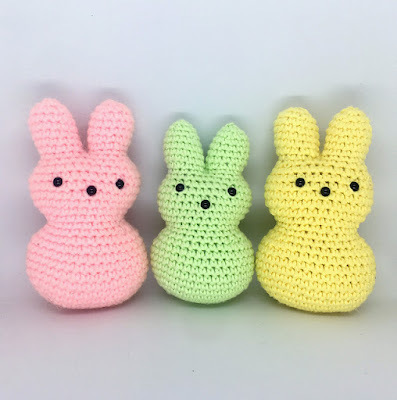 My peeps measure approximately 5” tall when made with the above materials. You can use any weight yarn or thread that you are comfortable using. You do not need to use what I used, just adjust your hook size accordingly. Place safety eyes between rows 18 & 19, 6 sts apart. Place a 3rd safety eye for nose between rows 16 & 17. 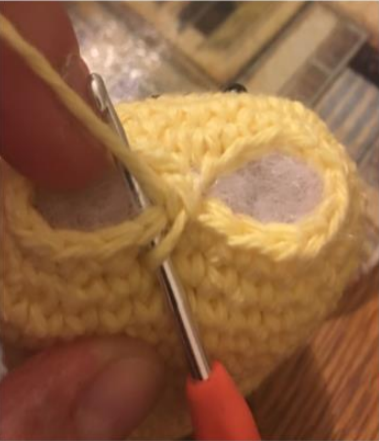 R1: 9 sc, then in next st, reach across to the corresponding st on the opposite side, and sc these two stitches together. Stuff firmly, fasten off and close up top of ear. 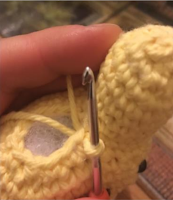 R2: sc inc x 1, 2 sc, sc inc x 3, 3 sc, sc inc x 1 (15) Again skip the middle stitch and continue around the ear. I hope you have enjoyed making your peeps as much as I enjoyed designing them. No unauthorized reproduction or distribution of this pattern or content, in whole or in part, is permitted. 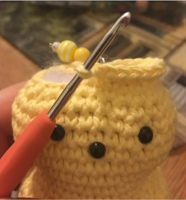 You are free to sell any dolls made with this pattern, but please give credit when doing so. A link back to the pattern page is appreciated. Love this pattern. Downloading to make some for my charity group. Wish I had a bit more time before Easter. Thank you. I've got quite a few balls of 8ply 4 Seasons flinders cotton. 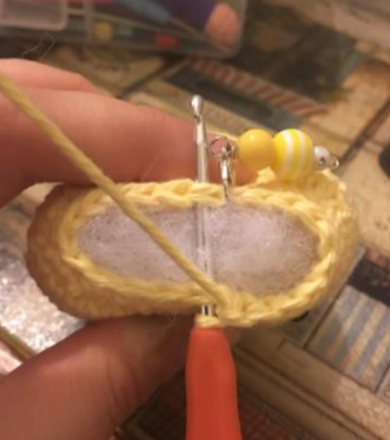 Do you think this would work for this pattern? Thanks for your feedback. On the wrapper it says: 115m per ball, 4mm needle,etc. Super cute !! Thanks for sharing!! Putting them in a cute basket and going into the church auction. Super cute! Thank you!